The Canon imageFORMULA ScanFront 400 is the ultimate network scanner helping to streamline document workflows. 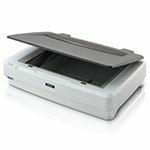 The simple interface allows quick and easy scanning to email, network folders, FTP, USB memory, fax, or printers directly from the scanners bright and responsive 10.1 inch (25.7 cm) TFT touchscreen, no additional hardware of software is required. 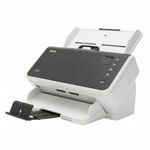 Its desk-friendly size, elegant design and quiet operation make it well-suited for both back office use and customer-facing counter tops in retail, banking, healthcare and the legal profession. Small businesses can benefit from documents being quickly digitalised and saved to a central database. A network of ScanFront 400 scanners can be integrated into existing infrastructure of large corporations allowing for decentralised scanning. 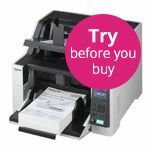 Scan more documents with high-speed scanning at 45 pages per minute, plus a large 60-sheet ADF. 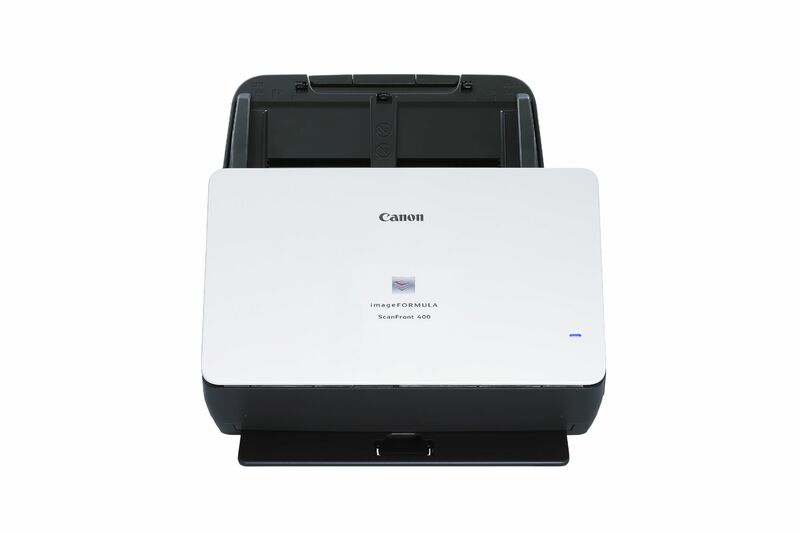 Canons tried and tested document feeding mechanism and durable build quality, rated for up to 6,000 scans per day, ensure unparalleled reliability. Ultra-sonic sensors instantly detect double feeds, while the Double Feed Release (DFR)nfunction enables easy scanning of envelopes and folded documents. 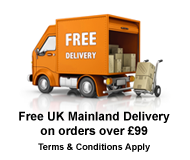 Make light work of scanning all kinds of documents, from A4, A5, and business cards to long document rolls (up to 3 metres) and even plastic cards, passports and A3 documents (in folio mode), ideal for HR departments, hotels and banks. 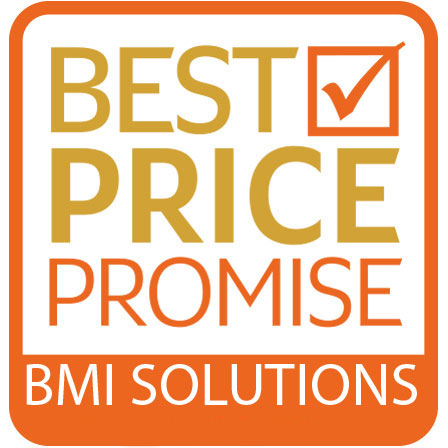 The device automatically detects paper size and adjusts as required. 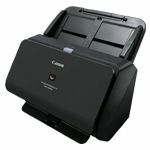 The ScanFront 400s Linux-based OS brings the power and flexibility to integrate with your document workflow. Create and send customised metadata index files with every scan, allowing for easy document classification into back office systems. System integrators can use the web app Software Development Kit to integrate their own customisations or design bespoke applications for the scanner.